Why are some job ads colored differently? 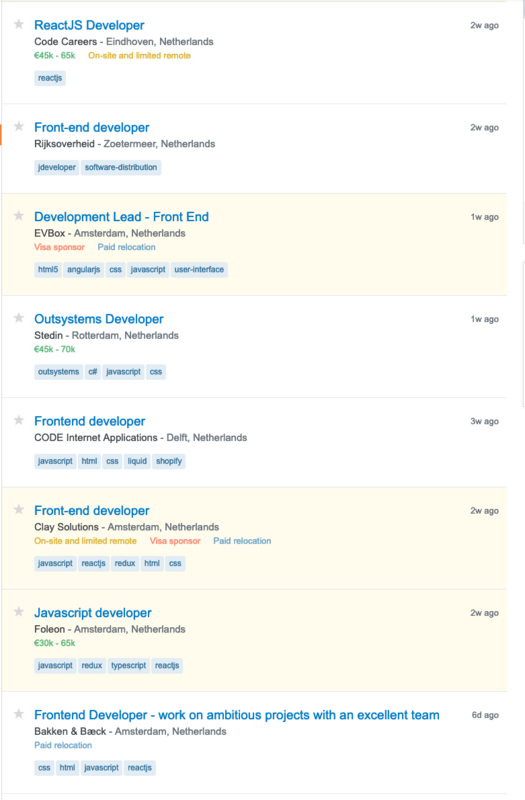 As you can see from the screenshot above, some jobs in the jobs listing have a yellow (Corn Silk) colored background while others do not. I tried to find any logic into why some jobs are colored different than others but couldn't find any. Can someone explain to me why we have two different colors for job adds and what the message is the yellow background is trying to convey? I'm also curious to know if I am the only one that finds this "random" coloring of job adds puzzling. If others think it is unclear as well what can be changed to improve the user experience? Highlighted jobs are paid. This means that whoever offered the listing paid extra to have the job highlighted and advertised in search results. Although this post was regarding the old Careers, it still proves to work the same way for the new Jobs. Whenever you use the Job search, a different, highlighted job will be at the top each time (Along with text saying Featured), those being the advertised ones. Not the answer you're looking for? Browse other questions tagged support jobs design . What do the colors on Stack Overflow mean? Why do some flags have a red background? Filter job ads by salary? Are job ads allowed to be profane? Why are we not allowed to edit Job ads?